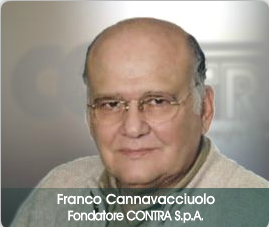 Con-Tra S.p.A. is an international freight forwarder founded in 1988, with its head office in Salerno/Italy, branch offices in New York/USA, London/UK and correspondents in all the major ports/countries all over the world, reaching over 15,000 cargo units shipped and a turnover of about 12 mln euros in 2013. 2012 : Vincenzo Botto, accounting consultant since the foundation and a member of the board of directors for some years, becomes a shareholder. Our commitment is supporting our clients as the logistic partner. You just need to tell us when cargo shall be shipped and where to : the rest is our task. We assist our clients from the shipment planning to the final delivery, suggesting to them the best solutions thanks to constant, up-to-date and reliable information.